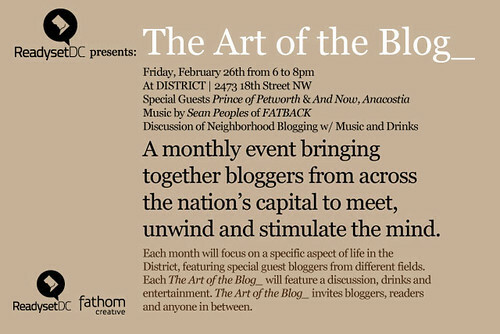 Ready Set DC has started a monthly event called Art of the Blog. The event will focus on different areas (food, neighborhoods, art, music etc.). Anyway first up is neighborhoods. I’m looking forward to talking about what it is exactly that I do along with And Now, Anacostia blogger, David Garber. It’s starts a bit on the early side but should be fun. I’m hoping there will be a significant question and answer section so feel free to ask me anything (personal or professional) on your mind! Anyone Know the Plans for this Building? Dear PoP – What’s Going on at Seafood & Things?